Of the many e-learning rapid authoring tools available in the market today, Adobe’s Captivate is certainly one of the best. It was just a screen recording tool when it was first launched under the name FlashCam, but over the years it has evolved into a full-fledged e-learning rapid authoring tool. Now it is widely used to develop not only high quality software simulations, but also interactive online learning courses. Like every year, Adobe released the updated version of Captivate last year too – Adobe Captivate 9. Since then, there has been a buzz among our tool experts, which made me curious to know what the new version of the tool contains. When I enquired, I came to know that apart from enhancements in the existing features, a few new features have been introduced. Read on to know what they are. 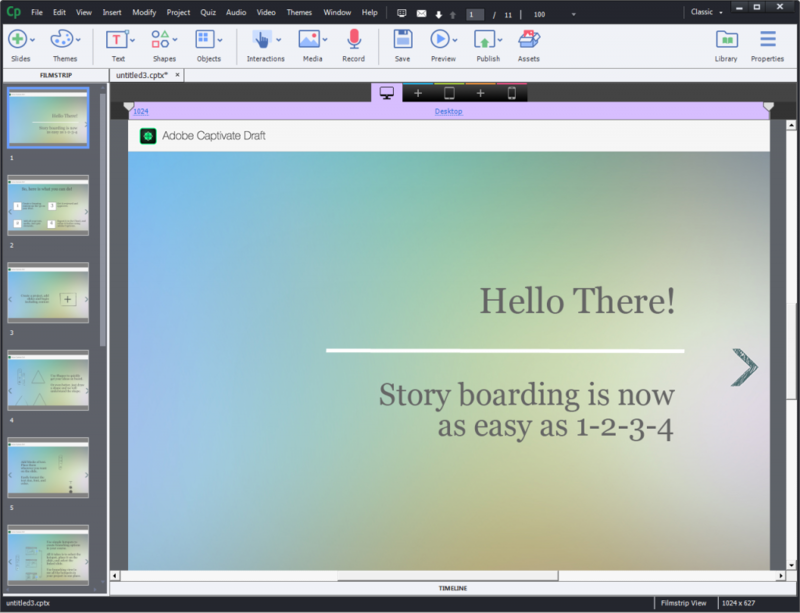 The Adobe Captivate Draft is a wonderful addition to the tool. It helps convert your ideas into interactive storyboards by allowing you to add elements such as question slides, scenario branching, and different multimedia elements. Its all-new iPad app allows you to create e-learning courses wherever you are and share them for reviews on the cloud. The best part is that reviewers need not have the tool or app to review. Update the storyboard, import it to the tool and publish the course. Finally, multistate for objects is here. 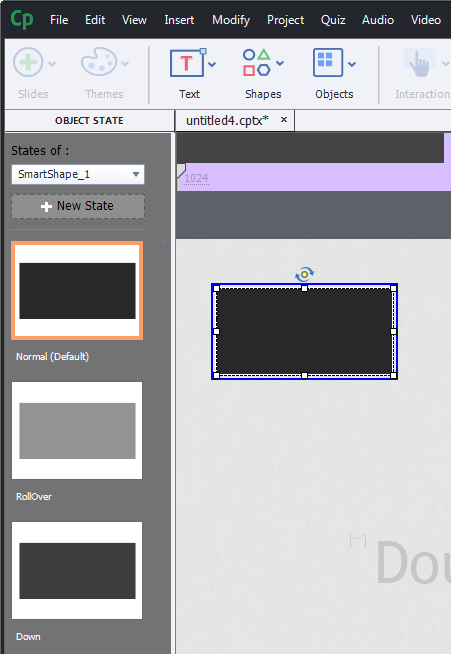 Adobe Captivate provides the ability to add multiple built-in states such as normal, selected, or visited to your objects. You can also add your own custom state. Editing these states using the States timeline is very easy.Creating buttons for interactions such as click on tabs, images, numbers, slideshow, etc. becomes effortless. Another amazing feature the new version of Adobe Captivate brings you is Multiscreen Responsive E-learning Authoring. This is actually an enhancement to the existing feature. It provides a slider on top of each slide of your responsive project using which, you can see the content rearranging itself for different device views – desktop view, tablet view, and mobile view. You can add two more views by clicking the plus mark in between, and also edit the size of each view. This feature gives you five breakpoints (different screen sizes) using which you can tweak onscreen elements for different devices at the same time. You can also use the in-product preview feature and see how the project will look on different screen sizes. Adobe Captivate 9 brings a cool asset store containing tens of thousands of assets such as games, interactions, layouts, scenarios, people cutouts, and much more so that you can design professional and attractive e-learning courses with less efforts. It is said the library will be updated regularly so that it will help you develop courses with contemporary features. Apart from these new features, many other features have been enhanced. They include a few new objects, templates, and themes; interaction library comes with a few built-in games; and you can apply Motion Effects that are responsive so that you do not have to write the code. However, the main strength of the tool still remains its ability to develop software simulations, and there is no great change in it. But its already amazing ability to develop responsive e-learning courses has been enhanced to be more flexible. One area our experts feel the tool still lags behind is its ability to customize components. But overall, it has brought some exciting features to woo those who want to develop responsive e-learning courses. 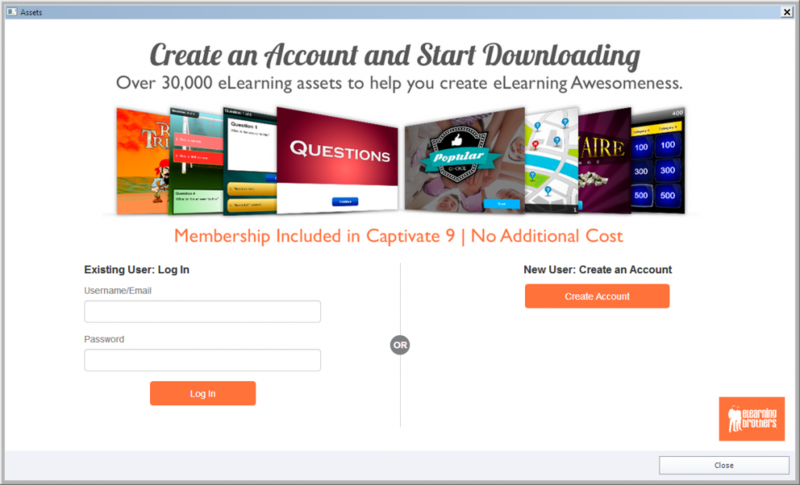 What features of Captivate do you use in your online courses and how do these new features help? Do share with us.